The FEIN 9" Slugger Metal Saw is the high performance, durable solution for metal cutting. Unlike other metal cutting options, the 9" Slugger Metal Saw leaves a workable edge when cutting steel plate, square tube, angle, pipe, and tube. A specially designed cover to collect virtually all chips and sparks allows the 9" Slugger Metal Saw to perform quick clean cuts including the ability to bevel cut up to 45 degrees. With an integrated laser guide and worm gear drive, the 9" Slugger Metal Saw has the capability that no other metal cutter can offer. 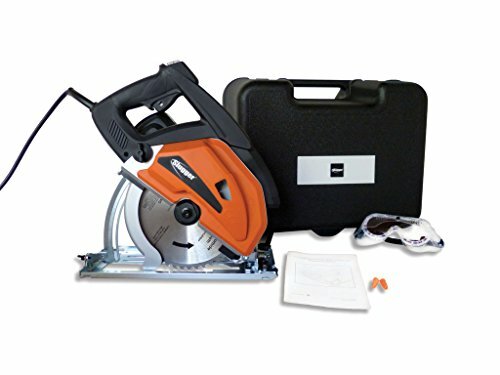 The FEIN 9" SLUGGER Metal Cutting Saw is an versatile, high quality power tool. If you have any questions about this product by Jancy, contact us by completing and submitting the form below. If you are looking for a specif part number, please include it with your message.